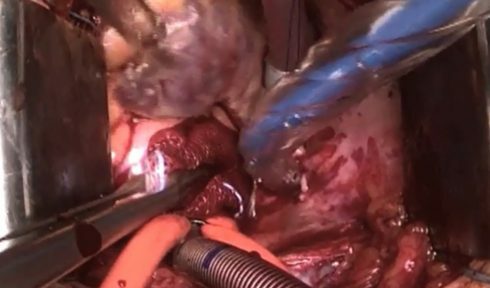 Minimally invasive aortic surgery is increasingly being utilized, in part, to help avoid complications related to femoral cannulation. This instructional video by Steffen Pfeiffer, M.D., demonstrates his technique for inserting Optiflow venous cannulae during minimally invasive procedures. It shows the insertion of an Optiflow venous cannula into the superior vena cava during a ministernotomy aortic arch procedure, resulting in excellent venous drainage (regardless of the position of the heart) and with no increase in central venous pressure.